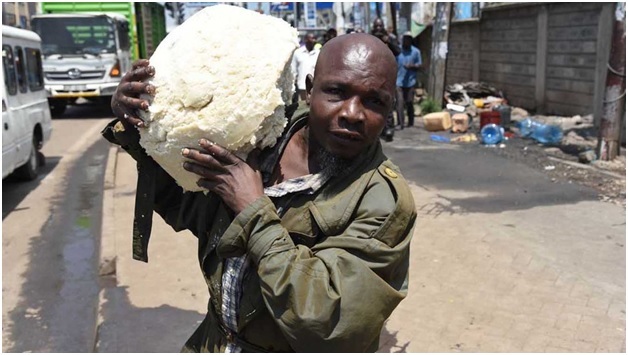 Friday, August 03, 2018 - These photos of a man ‘saving’ a gigantic piece of Ugali as Nairobi County officials demolished illegal structures in Kilimani has left tongues wagging. When the County askaris stormed Kilimani to bring down illegal structures, for this guy, the only precious thing he decided to save was Ugali. The guy carried the huge piece of Ugali on his shoulders with reckless abandon. Several illegal structures were brought down and people were looting all kind of things but this guy settled on Ugali.